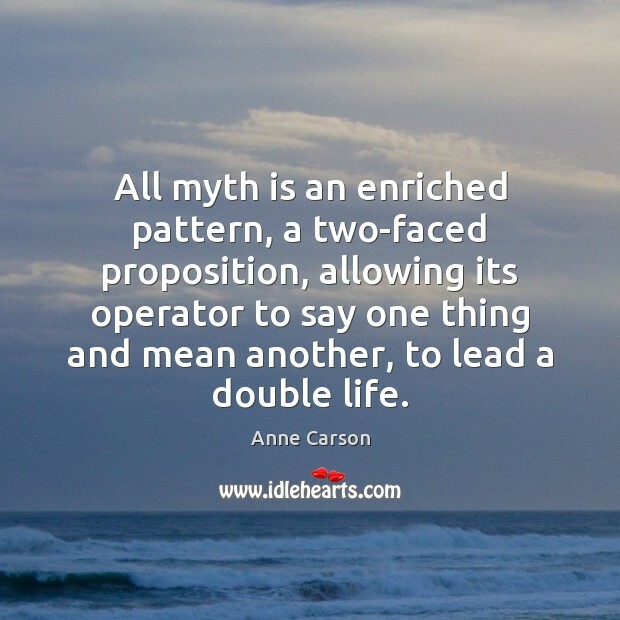 Enjoy the best inspirational, motivational, positive, funny and famous quotes by Anne Carson. Use words and picture quotations to push forward and inspire you keep going in life! 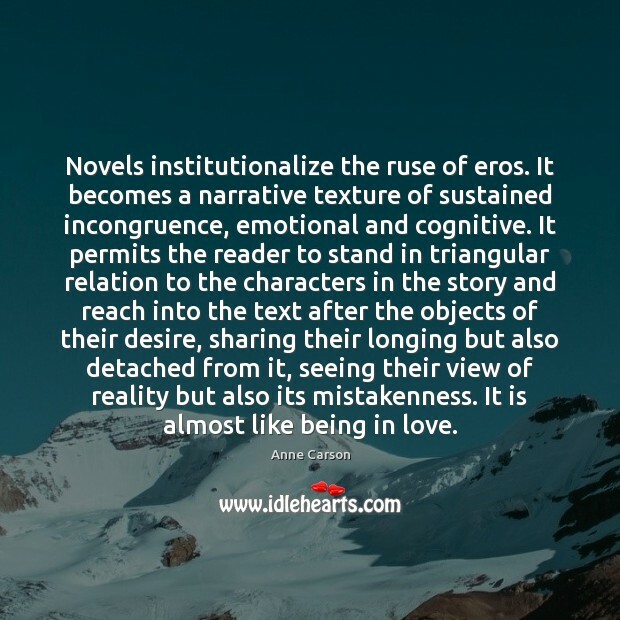 Novels institutionalize the ruse of eros. It becomes a narrative texture of sustained incongruence, emotional and cognitive. It permits the reader to stand in triangular relation to the characters in the story and reach into the text after the objects of their desire, sharing their longing but also detached from it, seeing their view of reality but also its mistakenness. It is almost like being in love. 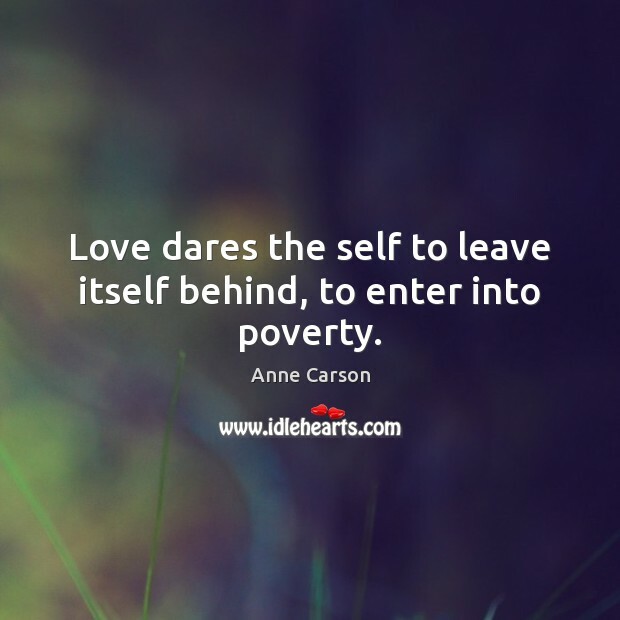 Love dares the self to leave itself behind, to enter into poverty. 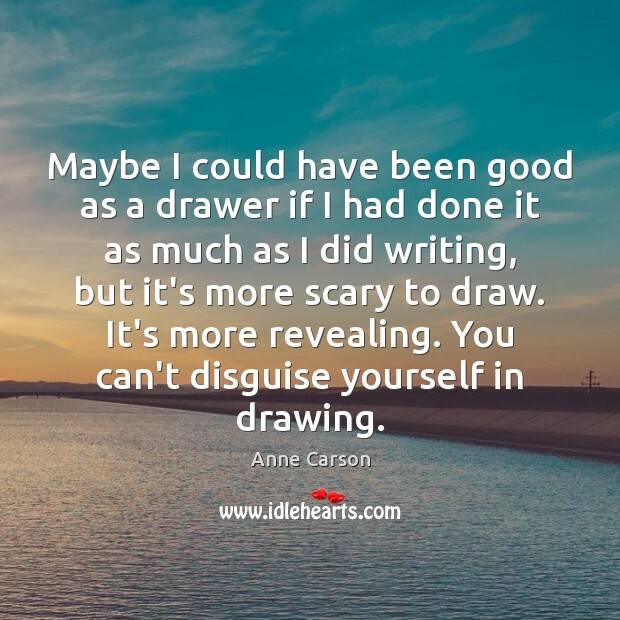 Maybe I could have been good as a drawer if I had done it as much as I did writing, but it's more scary to draw. It's more revealing. You can't disguise yourself in drawing. 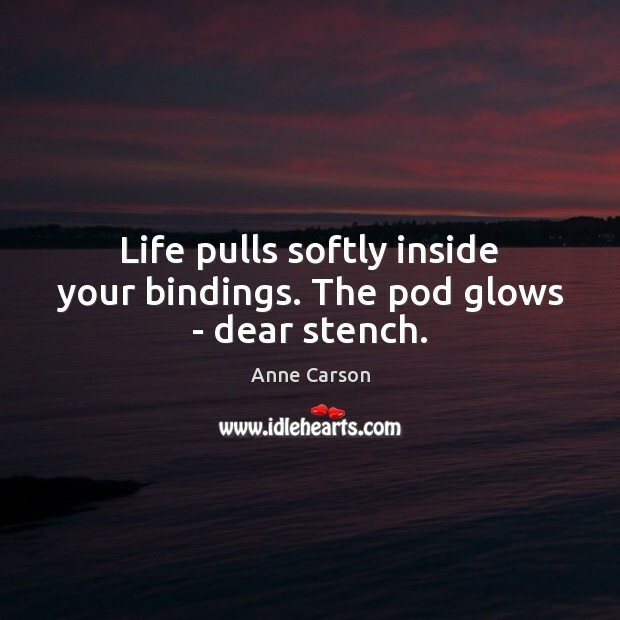 Life pulls softly inside your bindings. The pod glows - dear stench. 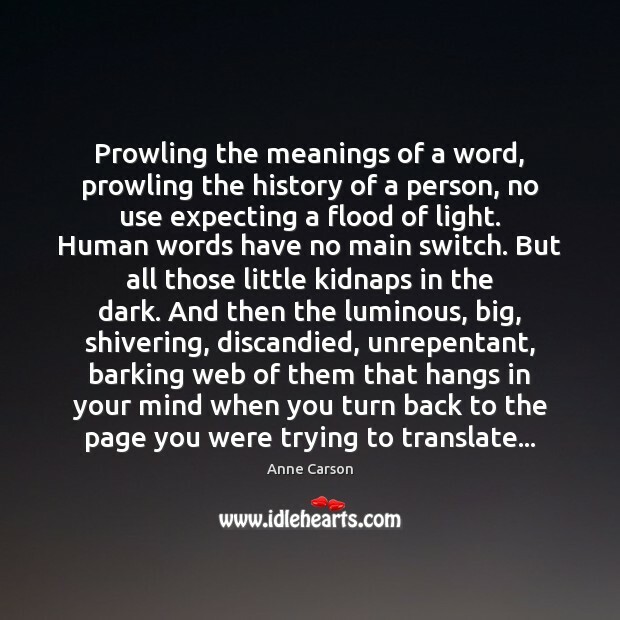 What is the fear inside language? No accident of the body can make it stop burning. 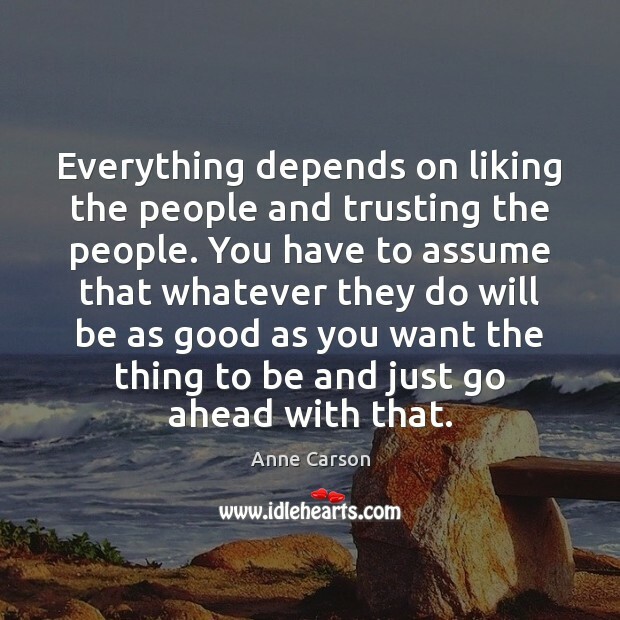 Everything depends on liking the people and trusting the people. You have to assume that whatever they do will be as good as you want the thing to be and just go ahead with that. 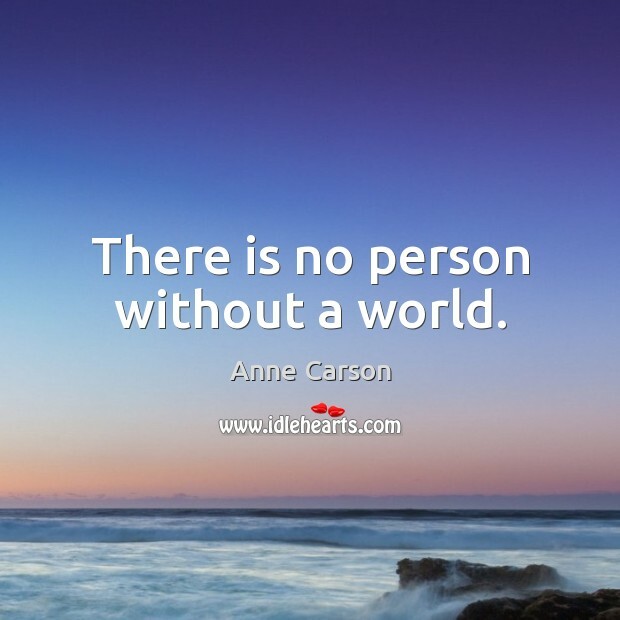 There is no person without a world. The words we read and words we write never say exactly what we mean. The people we love are never just as we desire them. The two symbola never perfectly match. 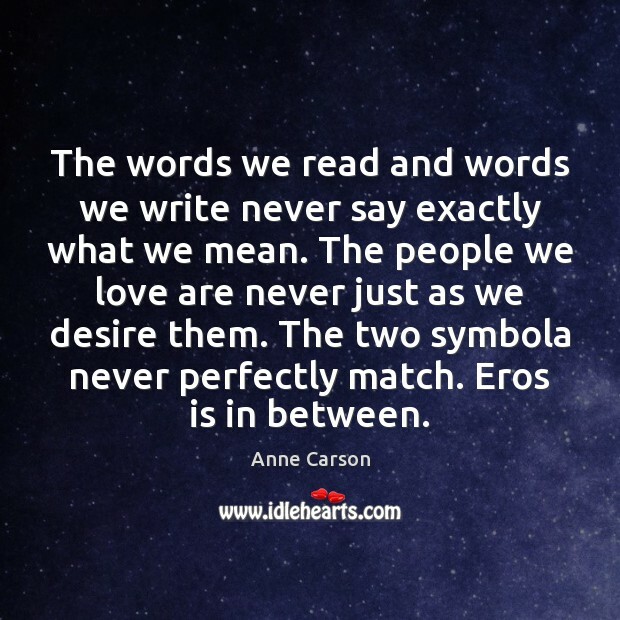 Eros is in between. Sometimes I dream a sentence and write it down. 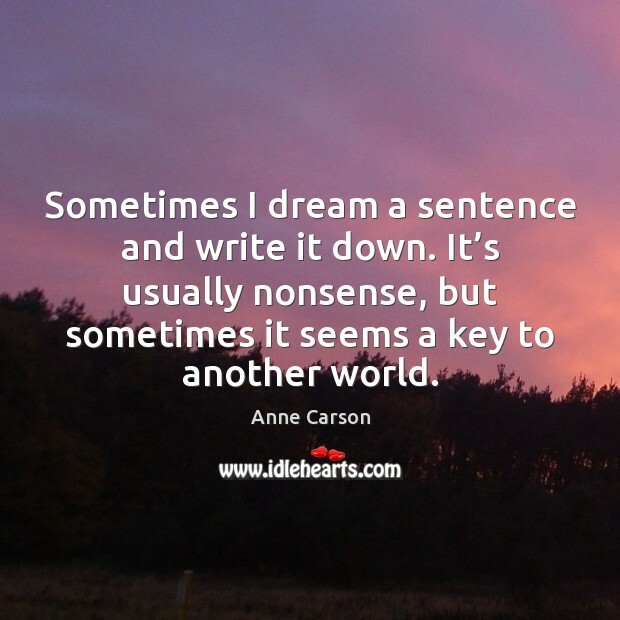 It’s usually nonsense, but sometimes it seems a key to another world. DEATH . . . And now you are here to fight for this woman. You know her promise is given. She has to die or her husband won't go free. APOLLO Relax, I'm not breaking any laws. DEATH Why the bow, if you're breaking no laws? 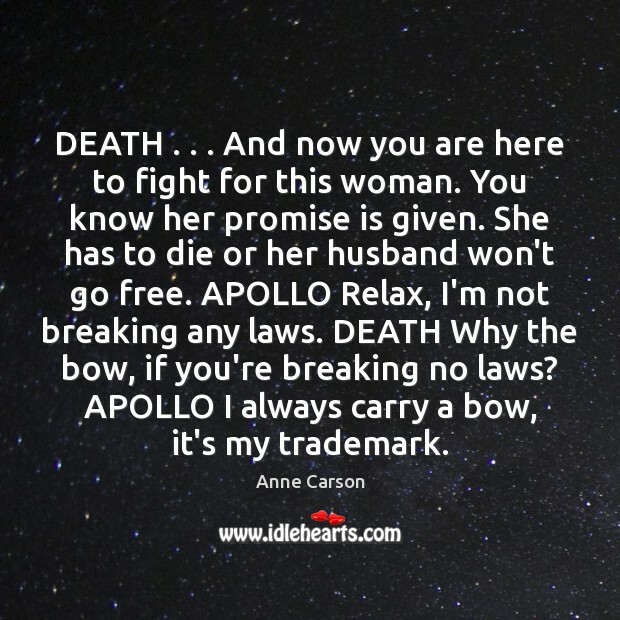 APOLLO I always carry a bow, it's my trademark. 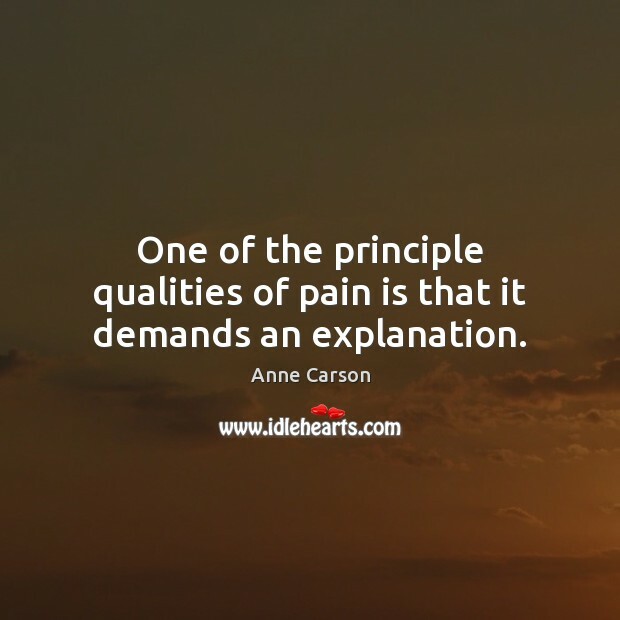 One of the principle qualities of pain is that it demands an explanation. 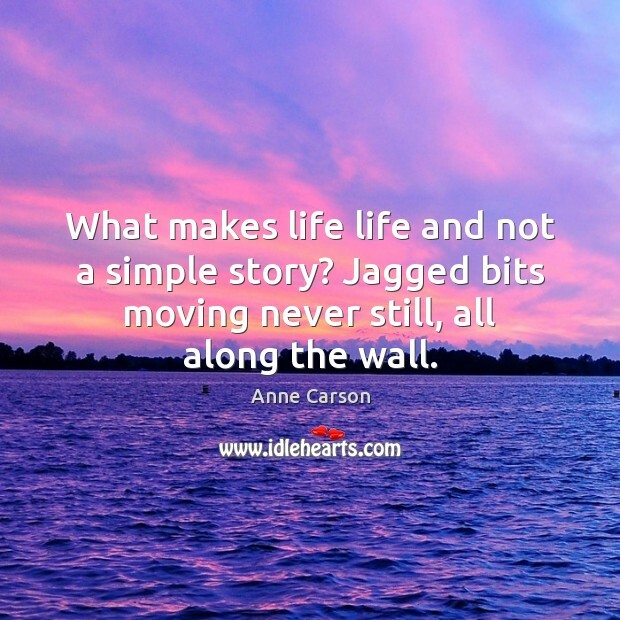 What makes life life and not a simple story? Jagged bits moving never still, all along the wall. I emphasize the distinction between brackets and no brackets because it will affect your reading experience, if you will allow it. Brackets are exciting. 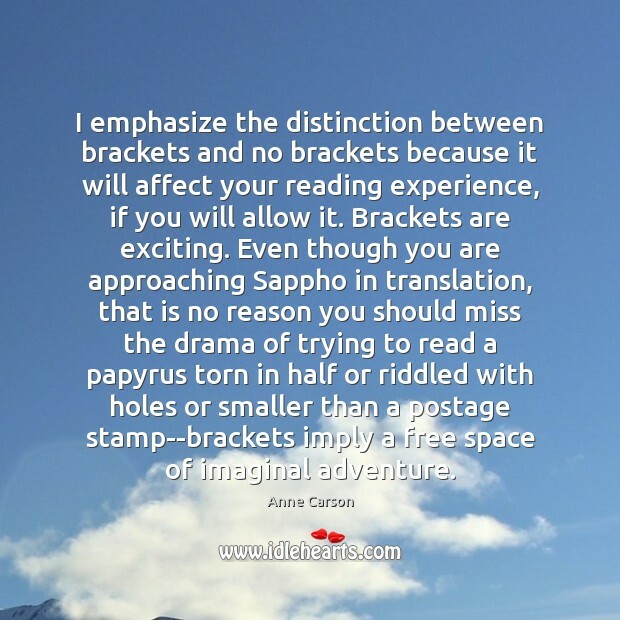 Even though you are approaching Sappho in translation, that is no reason you should miss the drama of trying to read a papyrus torn in half or riddled with holes or smaller than a postage stamp--brackets imply a free space of imaginal adventure. 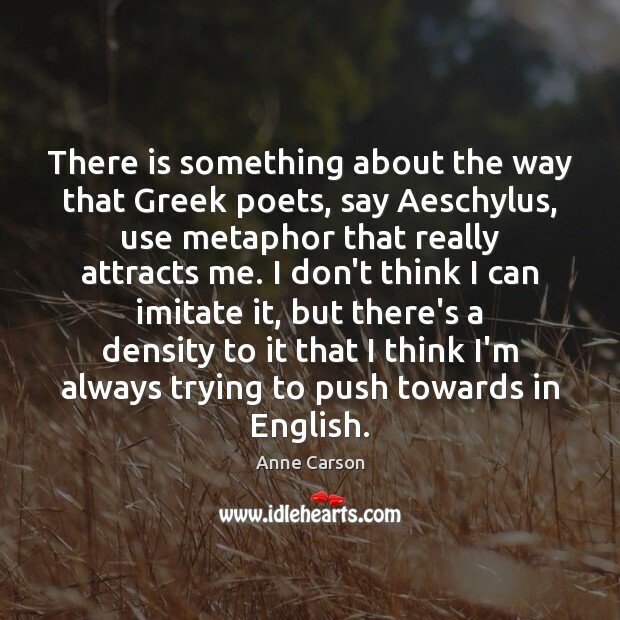 There is something about the way that Greek poets, say Aeschylus, use metaphor that really attracts me. I don't think I can imitate it, but there's a density to it that I think I'm always trying to push towards in English.